Today dermatologists are encountering more and more cases of skin irritation and burns on people who wanted to test homemade recipes from essential oils. Different sites selling pure essential oils offer a real bunch of recipes with treating and healing properties. But essential oils being volatile have a strong penetrative power and pass through the epidermal layer and therefore it is not a benign little thing! Some essential oils can cause drug interactions, can be toxic or even carcinogenic. The cosmetic manufacturer has only a responsibility to put on the market. They have a duty to make products in accordance with the standards promising complete safety for the consumer. And yet all these oils are sold in self-service and mostly without guidance. They are at the heart of DIY recipes without or with very few instructions. Even if it is written not to be used on children under 7 or pregnant women can’t use them, we know very well, that once in the hands of the consumer, we do not know at all how this product will be used. 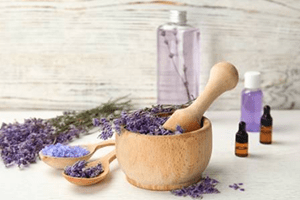 French Agency for the Safety of Health Products (AFSSAPS) imposes draconian procedures for cosmetic manufacturers using essential oils in their products. The manufacturer is therefore forced to comply with strict standards which do not allow to do anything that the manufacturer wants by putting any dosage or any type of oil. The research is constantly evolving and always being on guard allows the maximum security in the use of essential oils in cosmetics. By making cosmetics on your own it is easy to cross limits approved by the AFSSAPS. Therefore the volume of essential oils is often too important for the same cosmetic. Most of the time, it is not just one essential oil that is overdosed, but several, or even all of them in the same product. No need to panic if essential oils are used over a very short period of time, it is not dangerous. But more often it is not the case for DIY consumers with their beauty routine such as repetitive and long uses of shampoo, cream, make-up remover, masks, etc. That is why it is necessary to be extremely vigilant when you want to mix essential oils. Don’t limit yourself to what you read on the Internet or in books that are based more on empirical than scientific approaches. It is preferable to talk to a professional with a recognized degree or significant experiences to seek personalized advice based on your issues. 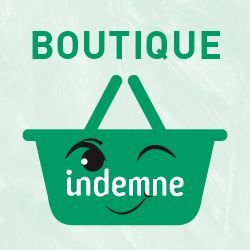 At Indemne we have many people who come to us precisely because we have products exclusively composed of essential and vegetable oils ready to use and with ready to be used to treat your skin problems but with the right dosage! These are perfectly safe oil mixes!